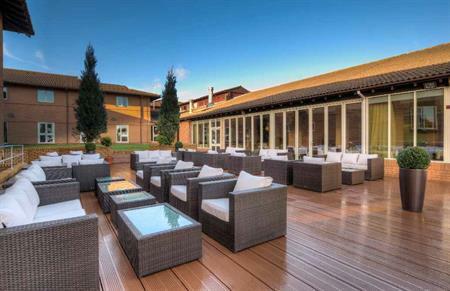 Mercure Milton Keynes Abbey Hill - previously Abbey Hill Hotel - has launched following a £1.5m transformation. Refurbishment work has been carried out to the hotel’s 88 bedrooms, as well as its 60-seat restaurant. Other facilities include five meeting rooms and a newly-built outdoor decking area with contemporary furniture. Nazim Manji, chairman and chief executive of Clubhouse Group, which owns and operates the new Mercure property, said: "After months of hard work we are thrilled to be unveiling the newest hotel in the thriving business hub of Milton Keynes, which is said to become one of England’s largest cities by 2031. "The hotel was one of the first purpose built business hotels in Milton Keynes around 1987, so we are pleased to be carrying on the legacy. The new facilities will better serve our business market whilst also appealing to those that visit the region’s many attractions at weekends." The hotel’s new restaurant, Moltens, will this February launch interactive dining enabling guests to cook their preferred meats or fish on lava rock. "We will be the first restaurant to offer this unique culinary concept in the region, and we anticipate this will also be a big draw for our business clientele," said Manji. Mercure Milton Keynes Abbey Hill, the 75th UK property for Mercure, is next to Abbey Hill Golf Course.